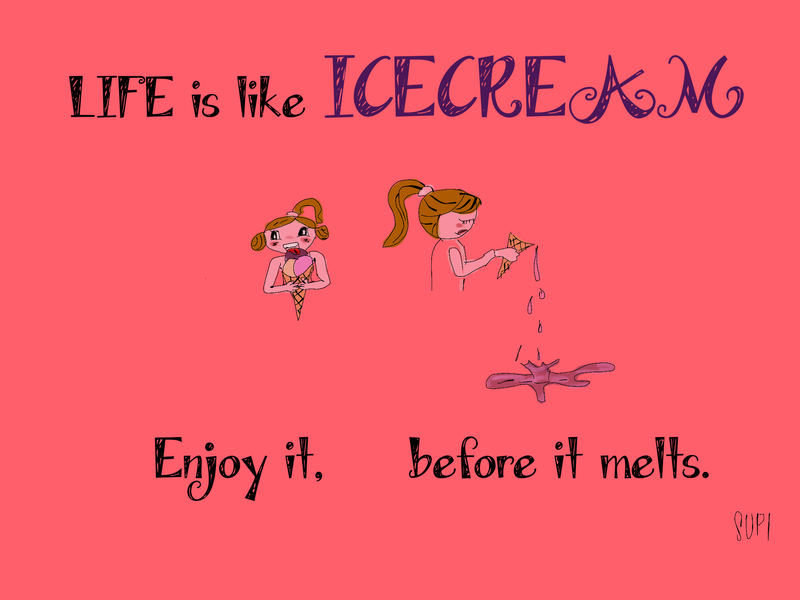 Life is like Icecream. Enjoy it, before it melts. We often like to wait for the perfect moment, the perfect opportunity. For example, “when I will earn more money, I will do this or be that”, “when I will have more time, I will do a worldtrip or found an organization”. We are always waiting in life – and don’t see how it’s passing by next to us. Life is now. So don’t wait for the perfect moment. The perfect moment is now. Enjoy your icecream, enjoy life now – its’ melting anyway – so the more you enjoy it now, the more you get from it. 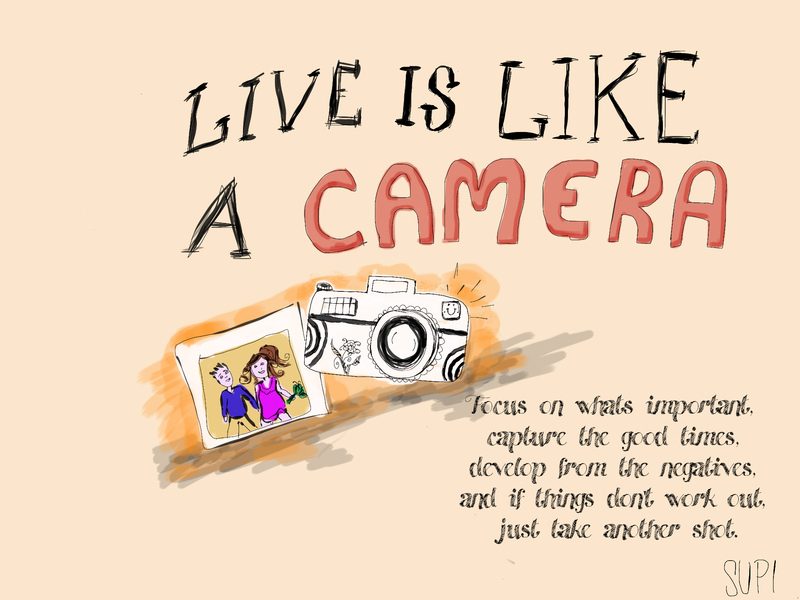 Life is like a Camera. Focus on whats important, capture the good times, develop from the negatives, and if things don’t work out, just take another shot. Life is like camera. Focus on whats important, capture the good times, develop from the negatives, and if things don’t work out, just take another shot. You live just once. Don’t waiting your time on unimportant or negative things – focus on whats important. Just capture the good times and experience – it will bring you forward and makes you happier. But develop from the negatives and learn from it. And if things don’t work out as you want, just take another shot. You don’t have just one possibility to try and test in life. You have many possibilities. And even if you take tons of pictures, there will be finally minimum one, which is so amazing and you want to keep it forever. Life is like a canvas. It begins blank and every day is like another brush stroke. 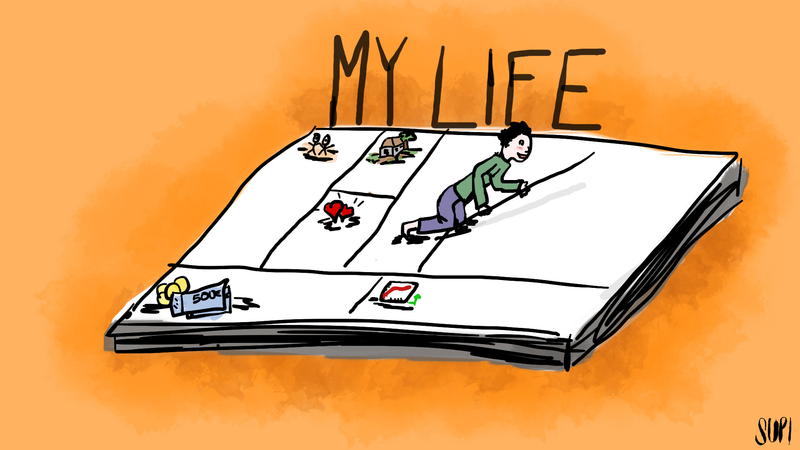 Your life starts like a white blank piece of paper. It might be difficult to start, but you have any choice how do design your own canvas of life. Once you started – and if you recognize how you can influence the design, output and power of your canvas – you can create an impressive outcome. And with every day, you will make another brush stroke of your final result, you will leave behind you one day. By living, giving, receiving, trying, failing, succeeding and exploring, you will develop a powerful canvas, you and nobody else will miss it. 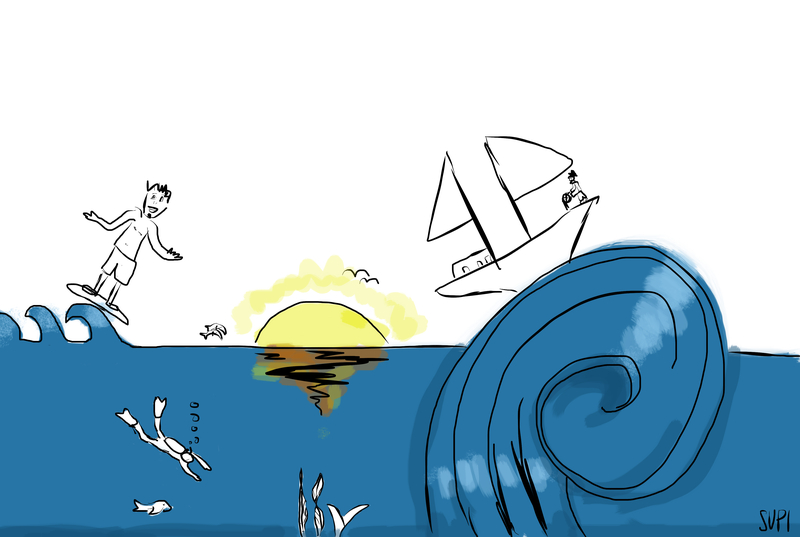 Life is like an ocean. It can be calm or still and rough or rigid. But in the end, it’s always beautiful. Life is like the ocean. It can be uncontrollable, not projectable and incalculable. Sometimes it’s calm and quite: so peaceful and innocent. And you can slide over the water surface easily – and everything is going with ease and fast-forward – but you still feel relaxed. And sometimes your swimming against big waves, heavy storms, the water is rough and rigid – you need too much effort to move forward, you have to fight for your life or just feel anxiety for the unknown. But life is like the ocean, so beautiful, artificial and there is so much to see and learn from it. You just need to be open and alert. And start to witness your environment, streams and beings around you. And you will see: the more you witness, the more you start to love and see the beauty in it. Life is like a book. It has many chapters. Don’t get caught up on one chapter, move on to the next and see of what to expect. Life is like a book. It can be a long or short story. A romantic story or action roman. A drama or sweet fairy tale. 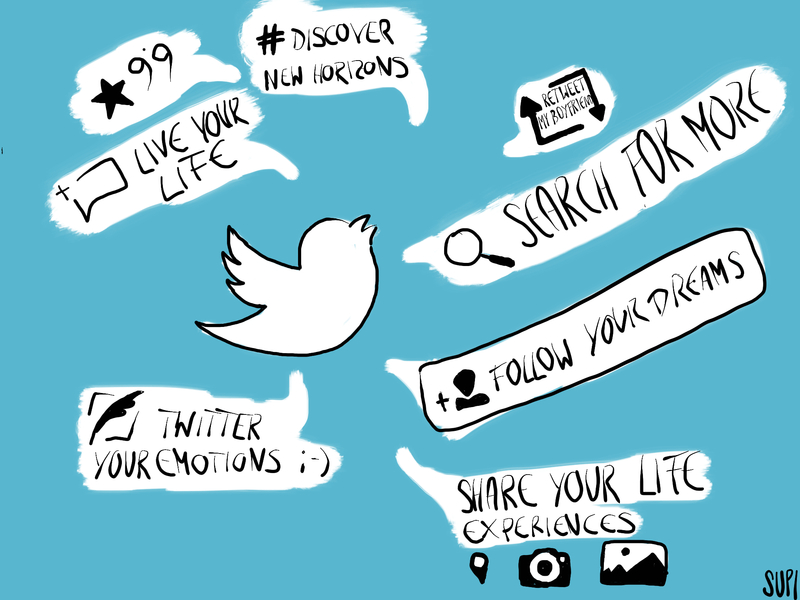 But YOUR life is YOUR story! YOU are the author. Don’t write a boring story nobody want’s to read – even yourself. Don’t make it to short – the story can be so interesting and artificial, if you just allow it. And don’t get caught up on one chapter. 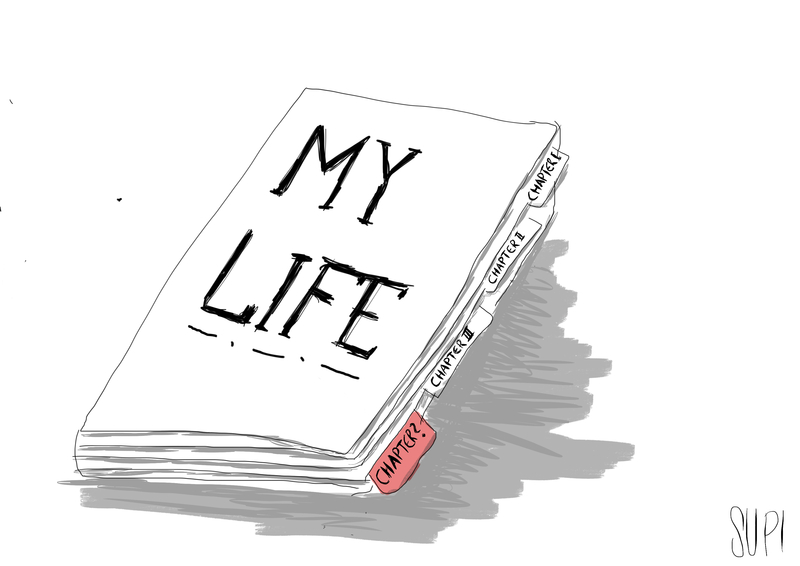 Life has many chapters – and each one has its justification. So move on to the next chapter and see of what you can expect and experience there.